Do you know the secret benefits of flowers? Apparently they help heal the soul. Really though, they are good for emotional health, our mood, memory and sleeping! When Spring comes and the flowers start to bloom, one often is smitten by just stepping outside. We hope you enjoy these books about flowers! I love all of Tad Hills books. His illustrations are particularly enjoyable. Right now my one and a half year old carries this book around and says, "eight eyes." Because he can say it so clearly, when not a lot of his other words are understandable, we all know that he loves this book. It is very cute with a bright and sunshiny feel. Duck and Goose introduce the numbers from one to ten, from one goose to ten butterflies. The Secret Garden is one of my favorite stories from my childhood. I love Mary's self discovery and her help to Colin and ultimately Mr. Craven along the way. I love the way she gains color in her cheeks as she experiences the joy of playing and working outside and nurturing a garden and befriending a robin, joys that Martha and Dickon help her discover. I love that she feels the happiness that comes as she moves from a very self-centered character to thinking of others and putting their needs and wellbeing above her own. She also is lovingly forthright and frank with Colin, which helped him develop, too. From the aster to the zinnia, Mrs. Peanuckle introduces very young children to 26 types of flowers from across the globe. For each one, she offers a single defining characteristic, some of them very surprising. Did you know that there are twice as many orchid species as bird species? It's true! Do flowers taste good? Birds, bees, and butterflies sure think so! You'll even find flowers in certain teas. With bold, colorful pages, strong graphic art, and exciting design, these flowers are certain to be remembered by the children and adults who share this book. Mrs. Peanuckle’s Flower Alphabet is the third title in a series of board books celebrating the joy of nature at home and in the backyard, from fresh fruits and vegetables to birds, bugs, and trees. There is magic in every tiny seed. The seeds that come in little paper packets and those that fall from flowers and plants. In every garden and every flowerpot, magic can grow. With a little sunlight, a little water, and a little help from birds and worms and bees, a tiny seed sprouts, a plant grows, and a beautiful f lower blooms. There is magic in every tiny seed. And in this book, you become the magician. How? Press the seed into the ground, wiggle your fingers to add water, clap to bring the sun. And then . . .turn the page. What can grow from one tiny seed? Press, tap, wiggle, and jiggle to start the magic! Press the seed—don’t be shy! Wiggle your fingers to add some water. Clap your hands to bring the sun. Wow! A beautiful flower! This was such a clever book. I loved that Norton was so creative and mostly just a hard worker. He went out each day and gathered things and then made something out of them. When we found a flower, he was unsure of what its use could be. I love what he discovers and think it is a great thought for each of us to just enjoy what is beautiful. Battered wheels, rusty cogs, broken springs: Norton, an adorable robot, collects this junk and uses it to create amazing inventions. But one day he and his dog Alpha find something they ve never seen before: a flower! At first, they re baffled . . . but when a seed blossoms into a flowery field, the two discover the true magic of nature. Includes a big, stunning gatefold!" 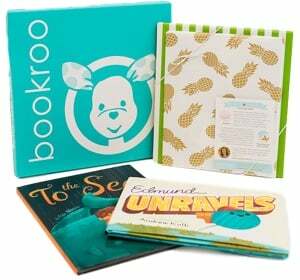 BabyLit® is a fashionable way to introduce your toddler to the world of classic literature. With clever, simple text by Jennifer Adams, paired with stylish design and illustrations by Sugar's Alison Oliver, these books are a must for every savvy parent's nursery library. This book introduces your toddler to Burnett's, The Secret Garden. A young boy creates a summer playhouse by planting sunflowers and saves the seeds to make another house the next year. Young Camille befriends a strange visitor to his small town, and one day he brings this man a gift of bright, beautiful sunflowers. The man is the artist Vincent van Gogh, and the sunflowers quickly become the subject of a magnificent painting. This is a title in Barron's Anholt's Artists Books for Children series, in which author and illustrator Laurence Anholt recalls memorable and sometimes amusing moments when the lives of the artists were touched by children. Anholt's fine illustrations appear on every page and include reproductions of works by the artists. Shows a variety of flowers, tells how they are pollinated and form seeds, and describes some of the useful products we get from flowering plants. Rhyming text explores the wonders of natural cooperation between flowers and the animals and insects of the forest. One day Fran found a flowerpot filled with soil. "I will grow this flower," Fran said. "Grow flower." But the tips stayed tiny. Fran is determined to get her flower bud to grow. But what do you feed a fussy flower? Fran figures that the flower will flourish on her own favorite foods--pizza, spaghetti, even strawberry ice cream! But the stubborn bud refuses to bloom. Finally, Fran discovers that a meal fit for a girl isn't necessarily a meal fit for a flower. Just when she gets fed up, Mother Nature steps in with a smorgasborg of sunshine and rain...Won't Fran be surprised! Zinnia plants a garden, eagerly waits for the plants to grow, sells the beautiful flowers, then gathers seeds to plant the following year. With his inimitable bright collage art and simple text, Carle follows the journey of a seed, from being blown by the wind to taking root and sprouting seeds of its own. Full color. A mother and child plant flower bulbs in the fall, wait through the winter, and see them bloom in the spring. A beloved classic is lovelier than ever! Barbara Cooney’s story of Alice Rumphius, who longed to travel the world, live in a house by the sea, and do something to make the world more beautiful, has a timeless quality that resonates with each new generation. The countless lupines that bloom along the coast of Maine are the legacy of the real Miss Rumphius, the Lupine Lady, who scattered lupine seeds everywhere she went. Miss Rumphius received the American Book Award in the year of publication. To celebrate the thirtieth anniversary of two-time Caldecott winner Barbara Cooney’s best-loved book, Viking has reoriginated the illustrations, going back to the original art to ensure state-of-the-art reproduction of Cooney’s exquisite artwork. The art for Miss Rumphius has a permanent home in the Bowdoin College Museum of Art. Fans of Miss Rumphius will adore this gorgeous picture book which introduces the kind, nature-loving Miss Maple, who celebrates the miracle in each seed. Miss Maple gathers lost seeds that haven’t yet found a place to sprout. She takes them on field trips to explore places to grow. In her cozy maple tree house, she nurtures them; keeping them safe and warm until it’s time for them to find roots of their own, and grow into the magnificent plants they’re destined to become. Eliza Wheeler’s luminous paintings feature gorgeous landscapes, lush foliage and charming details. Her tender story celebrates the potential found in each seed—since even the grandest tree and most brilliant flower had to grow from the smallest of seeds. Celebrate every season with Miss Maple, from Earth Day to graduations to harvest festivals. An exquisitely illustrated nonfiction picture book about a desert flower that blooms for just one night a year As the summer sun sets over the Sonoran desert in Arizona, wildlife gathers to witness a very special annual event. The night flower is about to bloom. For a few short hours, the desert is transformed into a riot of color and sound as mammals and insects congregate for this miracle of nature. Explore the fascinating desert ecosystem, from pollinating fruit bats to howling mice and reptilian monsters, in this beautiful nonfiction picture book. Look! Flowers! There are so many kinds to see. Find out about all types of flowers in this colorful nonfiction book. Look! Flowers! They're beautiful to see. Turn the page and you'll find out how amazing they can be. Kids will delight in learning about these beautiful and surprising flowers—from the everyday to the exotic! It features colorful roses, tall sunflowers, beautiful moonflowers, sweet asters, odd elephant's heads, amazing Venus flytraps, poisonous bleeding hearts, and more! This book includes a gatefold at the end that shows even more types of beautiful flowers! This heart-warming picture book explores the bond between a father and his daughter. One day, a little girl notices her father mowing the lawn — in the process destroying her favourite flowers: the dandelions. She rushes out to stop him, but she’s too late, they’re all gone. There’s nothing for it: she’s just going to have to sit outside and wait until they grow back! But fortunately, Dad has another idea. &nsbp; Exquisite watercolour illustrations combine with lyrical text to create a story that’s perfect for readers aged 4–8. This book will be cherished by families and recommended by teachers and librarians, exploring as it does the resilience of nature, the art of forgiveness, and the unique love between a parent and child.